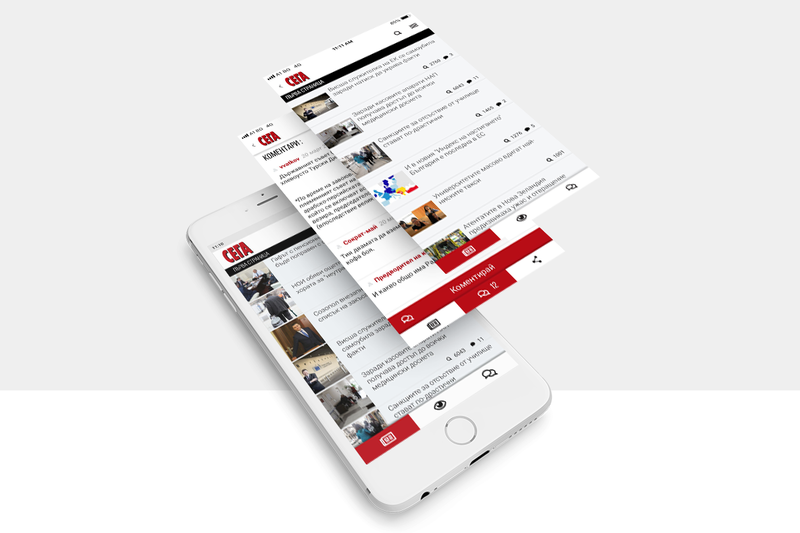 Design and development of a mobile app for the press media “SEGA”, compatible with iOS and Android devices. 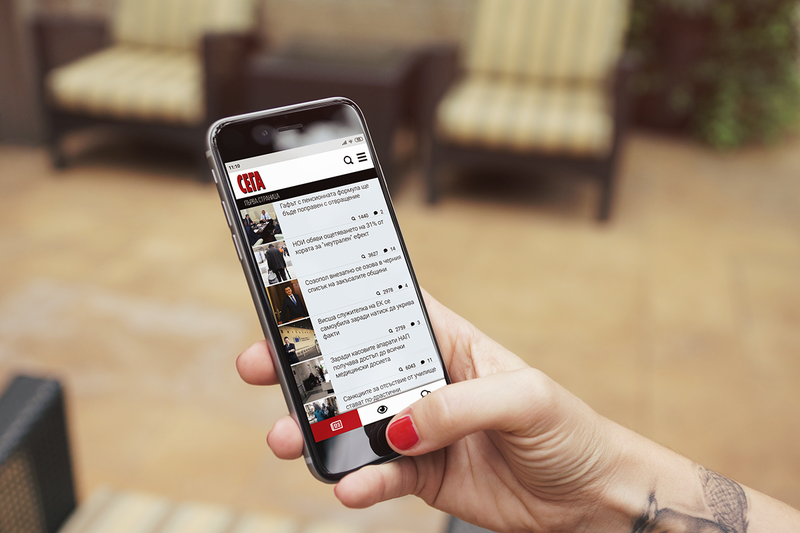 The app allows full access to the content of the media and notifies the user about tomorrow’s newspaper before it is out of print. Registered users from www.segabg.com will be able to use the app without the need of creating a new profile. For the non-registered ones, we integrated the possibility of creating an account with either email, Facebook or Google +. 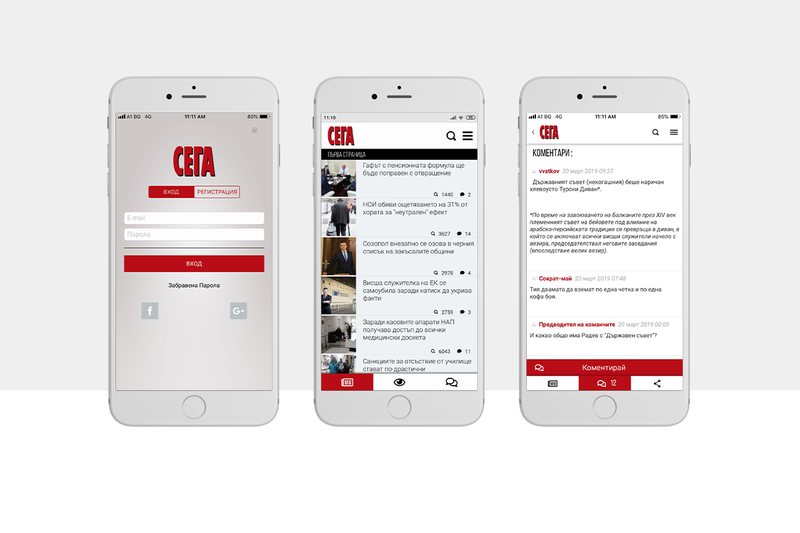 The updated versions of the app will allow users to subscribe to specific categories and receive notifications when new materials are uploaded. Users will also be notified when comments are being made on topics of their choosing and the functionality of sending and receiving messages from other users will be available.